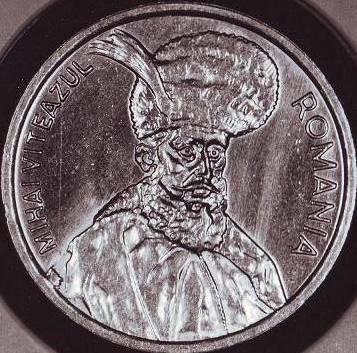 The brass pattern appears on Romanian coins through the kind contribution of Mr. J. Ardelean. The aluminum pattern belonged to the former collection C. Ciuplea. Patterns with reeded edge also exist, being rarer than the ones with flat edge. 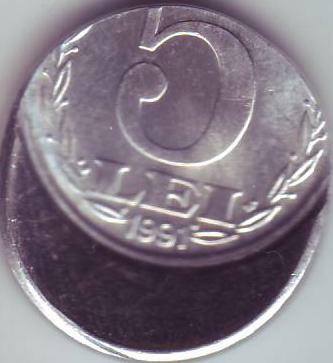 The aluminum 5 lei from 1991 is actually not truly a pattern. 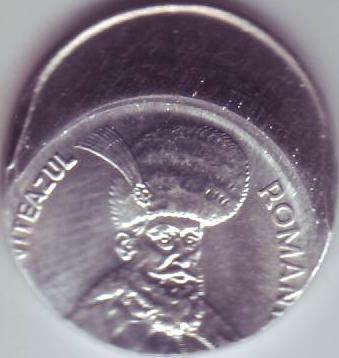 Many such coins were struck. 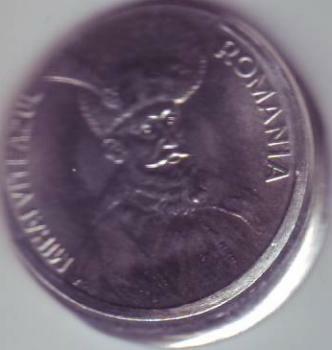 Due to unknown reasons these coins never entered circulation, being melted. 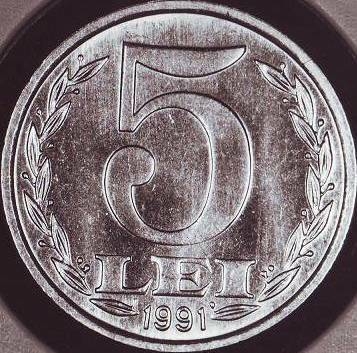 In December 1992 a 5 lei piece made from nickel plated steel and having 21 milimeters in diameter entered circulation. 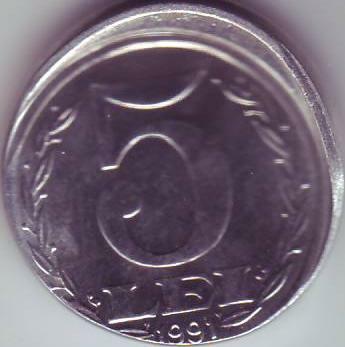 The face picturing Michael the Brave, prince of Walachia, was later used for 100 lei 1991-1996. Two mint errors are presented below, from G.F. collection, Germany.